To find the creator and star of its answer to 'House of Cards,' Apple didn't have to look further than its own executive suite. Apple didn’t forget about Dre. While the Beats cofounder turned Apple employee hasn’t been heard from much in his role as an Apple employee, The Hollywood Reporter says that’s because he’s reportedly filming a scripted series exclusively for Apple. We heard rumors a couple weeks back that Apple was seeking exclusive content for the Apple TV, with The Street reporting that Eddy Cue was taking meetings in Hollywood. Dr. Dre is of course no stranger to Hollywood—he’s credited as a producer of Straight Outta Compton, one of the biggest movies of 2015, which tells the story of Dr. Dre’s initial rise to fame as a founding member of gangsta rap legends N.W.A. 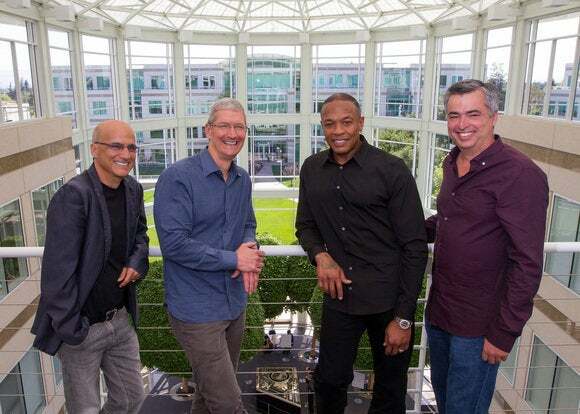 It remains to be seen how Apple will distribute Dre’s series. It could be part of Apple Music like Taylor Swift’s 1989 World Tour concert film or the video version of DJ Khaled’s Beats 1 show. Or it could be a House of Cards-like flagship offering of Apple’s much-rumored streaming service, which CBS’s Les Moonves can’t stop talking about. Putting Vital Signs in Apple Music isn’t the worst idea. Spotify is using short-form video and podcasts to set its own streaming music service apart, and Tidal is betting big on exclusive content, too. Plus, Apple Music is on the new Apple TV, but not supported by any competing set-top box. After all, while Netflix and Spotify’s main goal is to sell subscriptions and retain those customers, Apple makes its money selling hardware.